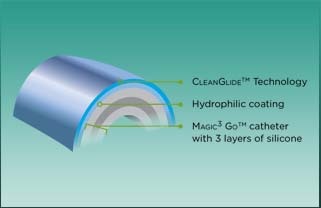 The MAGIC 3 GO® male hydrophillic intermittent catheters offers a straight and a coude catheter for everyday use. 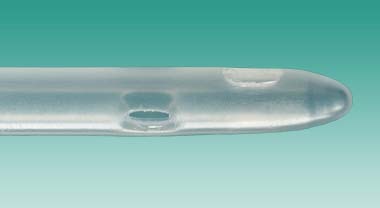 These 100% silicone catheters have an insertion sleeve for better control, a discreet consumer package, and a new coating that maintains the catheter in a hydrated state so that it is ready to go out of the package. No need to break a water sachet or manage any water/moisture for you. 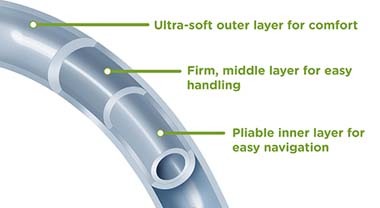 The handle or SURE-GRIP™ insertion sleeve allows a no-touch insertion technique – allowing the catheter to be held firmly without touching the surface, minimizing the risk of contamination. 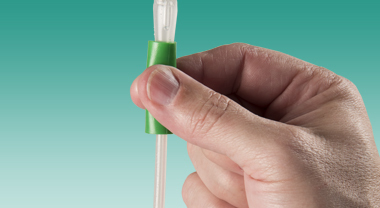 The MAGIC 3 GO® catheter package is discreet and gives you the ability to carry it folded in a compact format. Easy to Use – Ready to go right out of the package without the need of adding water or lubricant. The adhesive folding tab frees up your hands by attaching to dry, vertical surfaces.